Our tours are over now for this year! Our Outer Circle Tours were great – we even had a sunny day for the one on the 26th of September – most unusual – we normally have drizzle! The Queen Elizabeth Hospital Charity has received £300.00, and we’ve asked that this is used for help with the rehabilitation of recovering service men & women by contributing to their “Pie and a Pint” outings. Our tour on the 26th of September was also the day of the Macmillan Coffee Morning, so we have made a donation of £150.00 to that. Amongst the photographs that we use on the maps during our Outer Circle tours are some taken by amateur photographer DJ Norton in Birmingham during the 1950s & 60s. He sadly died with asthma just 9 weeks before his son Mark was born. 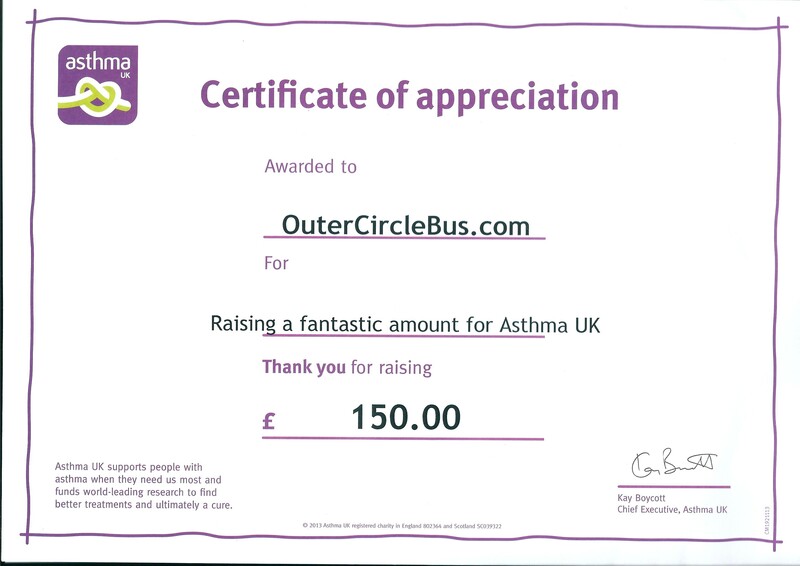 We have used his photographs with Mark’s permission and in recognition we have made a donation this year of £150.00 to Asthma UK. One of the highlights of our Cotswolds tours is the ride on a steam train on the Gloucestershire & Warwickshire Steam Railway from Cheltenham Racecourse to Toddington. We have contributed £100.00 to the Railway Trust. In recognition of the work done by the Birmingham Conservation Trust in helping to preserve and find new uses for some of Birmingham’s threatened buildings we have bought two refrigerators (totaling £200.00) for their new offices at The Coffin Works in Fleet Street, Birmingham. Newman Brothers at the Coffin Works are opening as a heritage attraction on the 28th of October this year, and the refrigerators help to make sure that the volunteers and staff can enjoy a cuppa with fresh milk! One of the Birmingham Conservation Trust’s early projects was to save the Back to Back houses in Hurst Street. This is now run as a charity and they had a need for robust & unbreakable picture frames so the visitors could look at and handle photographs during the guided tours there. We found the princely sum of £50.00 to buy these. So that’s it for 2014. Many thanks to all our passengers this year who so generously made it possible for us to hire the buses and make the donations. 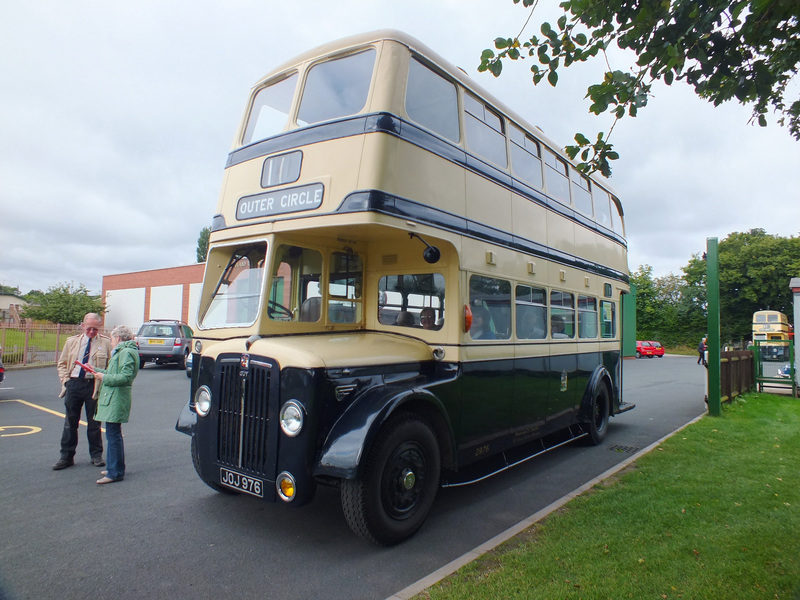 Thanks to the volunteer staff at the Wythall Transport Museum for providing the buses & crews as well as making them ready for us to enjoy our tours. Thanks as well to those folk on the GWSR, at Stanway House and the cafe at Tesco in Witton for making us so welcome. We do not have any plans at the moment for more Historic Bus Tours. But you never know what might happen in the future! Over the years we have been asked if the Outer Circle Tour commentary is available to read. Well – here’s the opportunity for you to read it all, or even take a tour on an 11A bus yourself (top deck – front row)! The tour has been serialised over 6 stages on brumpic.com . So click HERE to visit this wonderful website and find the links to each “stage”, then you can read the commentary yourself. This entry was posted in Cotswold Bus Trips, Historic Bus Tours, Historic Bus Tours for 2014, Our Charities, Outer Circle Bus Trips, Stanway Fountain, Steam Railway, Wythall Transport Museum and tagged 1950s Birmingham Corporation Double-Decker, Birmingham Bus, Birmingham City Transport, BRUM, Bus Tour, Charitable Donations, Guided Tour, Guy Arab IV, Historic Bus Tour, I want to sit upstairs at the front, Outer Circle, Outer Circle Bus, Ride the Outer Circle, Sarehole Mill, Vintage Bus Trip. Bookmark the permalink.